Does your company have a German customer who is not paying your invoice? For the most part, German customers do try and pay on time. Still, it is advisable to have good credit management. Often it is already clear whether legal proceedings will be required depending on the reaction to the first demand letter. The German legal system is focused on upholding clear contractual agreements, so you must have your paperwork in good order to prove your claim in a German court. 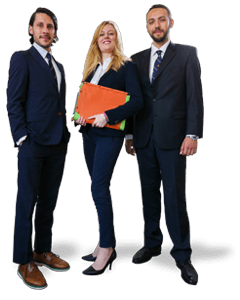 Our German debt recovery lawyers have all of the experience and expertise to make your debtor pay. With an office in Düsseldorf, we are able to recover your claims in Germany effectively. Send your correspondence by fax with proof that it was sent or save your emails. Our German debt recovery lawyers have extensive experience and knowledge of German legislation and regulations. In addition, they are fully aware of commercial traditions and culture in Germany. That makes it easier to get your German debtor to pay quickly. 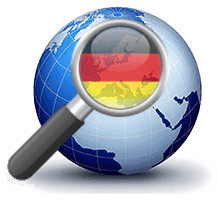 Our lawyers speak both your language and German, which allows them to overcome language barriers with ease. The debt collection process in Germany can be divided into two stages. During the extrajudicial phase, collection takes place without Court intervention. During the judicial phase, we involve the Court in order to make your German debtor pay. Because we are a law firm, we can assist you during both stages. Announcing legal proceedings: the most powerful manner of putting pressure on your German customer is the announcement that you are going to start legal proceedings. Usually, this announcement convinces them to effect payment. That is why it is advisable to promptly engage the services of a debt recovery lawyer, who can announce such proceedings on your behalf. This way, you prevent an unnecessarily protracted debt recovery process.